FRESNO, Calif. (KFSN) -- Fresno police say two identity thieves are off the streets, and that's not all they're accused of stealing. Officers arrested Marissa Holguin, 25, and Nicholas Valero, 31, at the San Joaquin Suites on Shaw and Fruit avenues on Saturday morning. They say the suspects were using a stolen credit card and had a stolen identity card in their room. 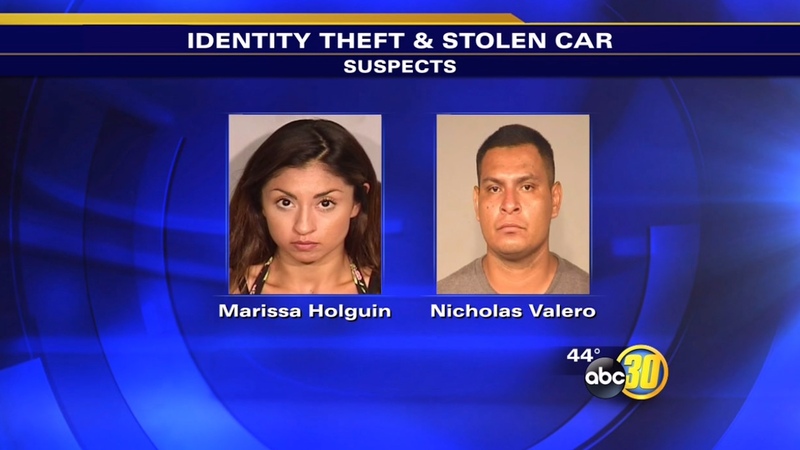 They're also accused of having a car that was taken from someone in Madera. Holguin and Valero were arrested on multiple felonies plus outstanding warrants.